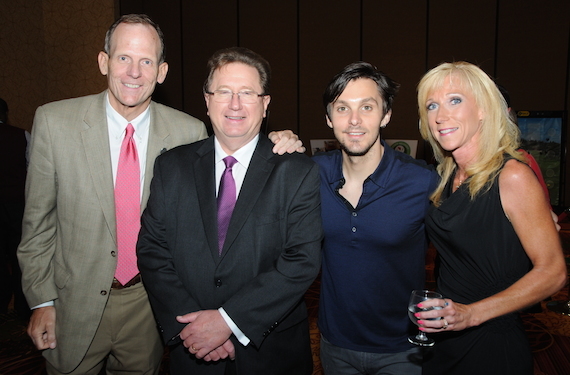 Warner Bros. recording artist and BMI songwriter Charlie Worsham wowed the crowd at the Illinois Broadcasters Association’s annual Silver Dome Awards Dinner (June 16), performing in front of a large group of radio and TV executives. Worsham will head into the studio later this summer to record his sophomore album with producer Frank Liddell. Nominations for the GMA Dove Awards will be announced at a press conference on Wednesday, Aug. 12. The Nashville Area Chamber of Commerce and YP Nashville announced the finalists for the 2015 Nashville Emerging Leader Awards. The NELAs recognize Nashville’s young professionals for significant accomplishments in their chosen career fields, as well as their commitment and contribution to the community. Nominees in the Arts, Entertainment & Music Business category include: Marcia Masulla, 12th & Broad—A Gannett Media Company; Amanda Mazzo, Mazzo Media; Brian O’Neil, Iconic Entertainment; Ryan Rowland, Country Music Television; and Laura Williams, Regions Bank. “Dress Up This Town,” a song written by Melissa Bollea, Bill DiLuigi, and artist/writer Mary Sarah has been picked up by Boot Barn for its national ad campaign. Bollea is owner of Rhyme Partners publishing, which is celebrating its 3rd anniversary and recently signed Doug Lowe, Kayliann Lowe, Brian Desveaux and Charlie Greene. The company has had over 70 cuts. Pam Lewis’ PLA Media has hired Levi Stein as Publicity Coordinator. He previously interned with the company. He can be reached at levi.stein@plamedia.com.